Shamsipur, M., Bahrami Adeh, N., Hajitarverdi, M., Yazdimamaghani, M., Zarei, F. (2013). Influence of Micro and Nano Silica on Mechanical Properties of Plasticized Sulfur Composites. Iranian Journal of Chemistry and Chemical Engineering (IJCCE), 32(3), 1-7. Mojtaba Shamsipur; Narmin Bahrami Adeh; Mohammad Sadegh Hajitarverdi; Mostafa Yazdimamaghani; Fatemeh Zarei. "Influence of Micro and Nano Silica on Mechanical Properties of Plasticized Sulfur Composites". 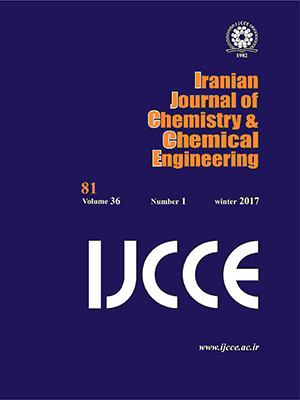 Iranian Journal of Chemistry and Chemical Engineering (IJCCE), 32, 3, 2013, 1-7. Shamsipur, M., Bahrami Adeh, N., Hajitarverdi, M., Yazdimamaghani, M., Zarei, F. (2013). 'Influence of Micro and Nano Silica on Mechanical Properties of Plasticized Sulfur Composites', Iranian Journal of Chemistry and Chemical Engineering (IJCCE), 32(3), pp. 1-7. Shamsipur, M., Bahrami Adeh, N., Hajitarverdi, M., Yazdimamaghani, M., Zarei, F. Influence of Micro and Nano Silica on Mechanical Properties of Plasticized Sulfur Composites. Iranian Journal of Chemistry and Chemical Engineering (IJCCE), 2013; 32(3): 1-7. In this paper the influence of two different sizes of silica particles (micro-silica and nano-silica) was studied on mechanical properties of sulfur and sulfur composite. To improve the structural properties, sulfur was plasticized using dicyclopentadiene (DCPD) and methyl styrene (MSt). Plasticized sulfur composite was prepared by melt blending of plasticized sulfur and silica particles. The increment in compressive and flexural strengths revealed that the micro-particles enhance mechanical properties of sulfur while nano-particles improved mechanical properties of plasticized sulfur. Viscosity measurements indicated that mechanical properties of nano composites containing matrix with low viscosity (sulfur plasticized with methyl styrene) are improved with increasing mixer speed but increasing the mixer speed had negative effect on composites containing matrix with higher viscosity (sulfur plasticized with dicyclopentadiene). Paulson J.E., Simic M., Campbell R.W., Sulfur Composites as Protective Coatings and Construction Materials, in: “New uses of Sulfur”, ACS Publication, (1977). Sullivan T.A., Been W.C.M., Blue D.D., Sulfur in Coatings and Structural Materials, in: “New Uses of sulfur”, ACS Publication (1978). Sandrolini, F., Manzi, S., Andrucci, A., Sulfur-Polymer Matrix Composites from Particulate Wastes: A Sustainable Route to Advanced Materials, Composites A., 37, p. 695 (2006). Currell B.R., Williams A.J., Mooney A.J., Nash B.J., Plasticization of Sulfur, in: “New Uses of Sulfur”, 1-17, ACS Publication (1978). Simic, M., Plasticized Sulfur Composition, USP 4348233, (1982). Shamsipur M., Bahrami Adeh N., Afghani T., The Study on Morphology and Thermal Behavior of Plasticized Sulfur, J. Iran. Chem. Soc., 8, p. 1063 (2011). Bahrami Adeh N., Mohtadi Haghighi M., Mohammad Hosseini N., Preparation of Sulfur Mortar from Modified Sulfur, Iran. J. Chem. Chem. Eng., 27(1), p. 123 (2008). Dastjerdi, R., Montazer, M., A Review on the Application of Inorganic Nano-Structured Materials in the Modification of Textiles: Focus on Anti-Microbial Properties, Collis.& Surf. B, 79, p. 5 (2010). Nimer E.L., Campbell R.W., Sulfur Cement-Aggregate Compositions and Methods for Preparing, USP 4496659, (1985). McBee W.C., Patrick O.B., Sullivan T.A., Structural Material, USP 4022626, (1977). Schneider R,A., Simic M., Plasticized Sulfur Compositon, USP 4308072, (1981). Gar L., Woo T., Sulfur foam Process and Product, USP 4219364, (1980). Schnelder R.A., Monoolefinic Plasticized Sulfur, USP 4282040, (1981). Li G., Properties of High-Volume fly Ash Concrete Incorporationg Nano-SiO2, Cement and Concrete Research, 34, p. 1043 (2004). Simic M., Plasticized Sulfur Improved Thixotropy, USP 4210458, (1980). Zou H., Wu S., Shen J., Polymer/Silica Nanocomposites: Preparation, Characterization, Properties, and Applications, Chem. Rev., 108, p. 3893 (2008).